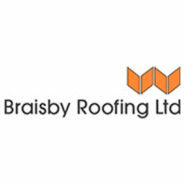 Braisby has been an established family name within the Scottish construction industry for nearly 50 years. We are a highly competitive roofing and external render contractor with direct access to all the major manufacturers. Our clients can expect an unrivalled service from our expert staff, we are always on hand to offer technical support and advice whatever size of project is being undertaken. We will take you through the variety of options available from different manufacturers to suit any project budget.